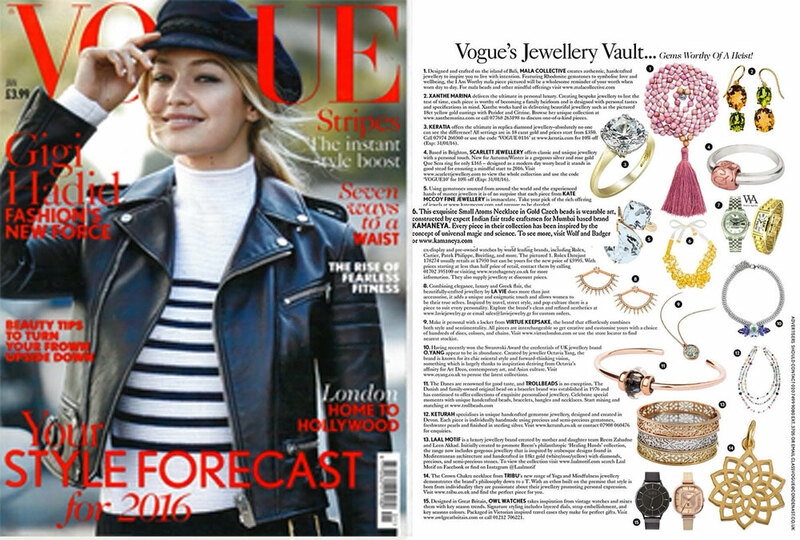 KAMANEYA featured in British Vogue'sJanuary Issue as: Gems Worthy of a Heist! Kamaneya was recently featured in a popular Austrian Blog run by two elegantologists Fraquoh and Franchomme. Predominantly a publication directed at men, Fraquoh and Franchomme believe, 'Style' in the future, will not lie in following a standard one doesn't believe in, but in finding one's own path and taste. Join them as they explore talent that embodies their vision.